Elevate manufacture wire rope slings to your requirements, whether for regular or routine use or for a one-off lift we do it all. We offer a full range of options for wire rope, master links, hard and soft eyes and terminations. 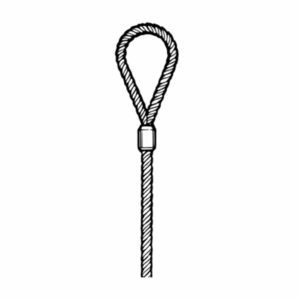 Elevate can also provide swaged, hand spliced and flemish eye slings. We have testing facilities up to 50 tonnes capable of applying large loads making us one of Australia’s market leaders in Wire Rope Slings.